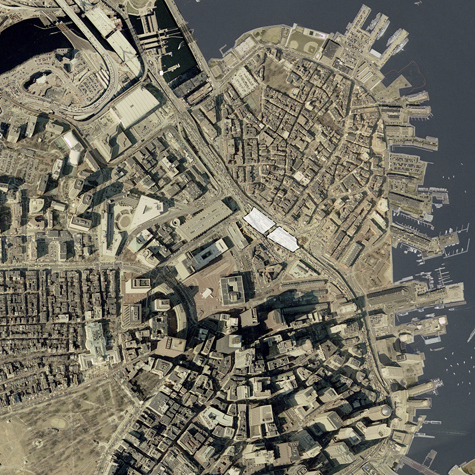 The North End Parks are built on three acres of new land on the I-93 "Big Dig" tunnel roof, at the prime entry to downtown Boston’s densest neighborhood. 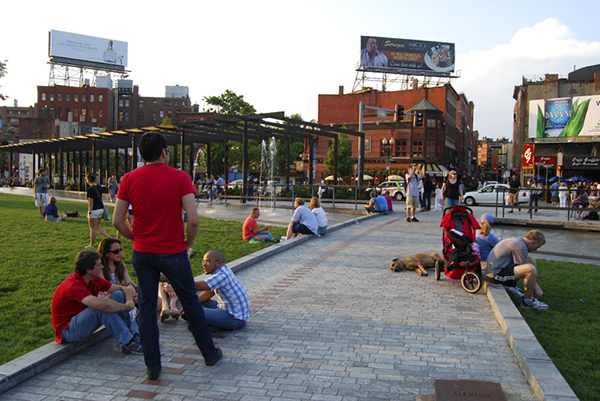 The design responds to community desire for a welcoming, urban meeting place that contrasts with expansive paving of nearby City Hall Plaza by offering a more intimate, textured space. 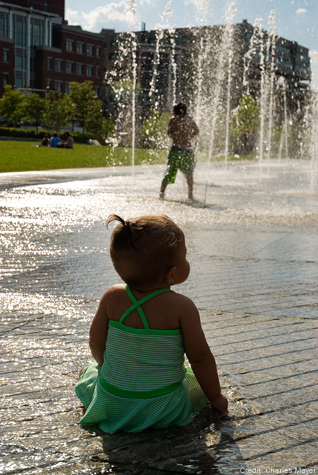 The Parks are designed as a system of varied spaces that serve the finely-scaled residential neighborhood, while forming together as one, a unified threshold piece at a grander civic scale. In the "Home Crossing" design, a series of zones are crossed as one moves from City (Government Center) to Home (North End). At the entry to Home, a “front porch” and pergola are provided as a spatial extension of the lively streets and sidewalk activities within the neighborhood. 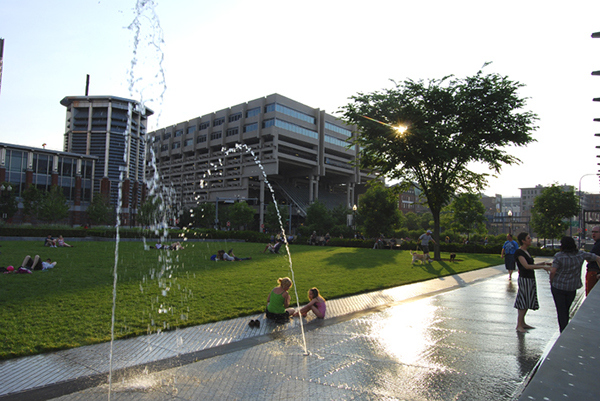 North End Parks was completed in November 2007. 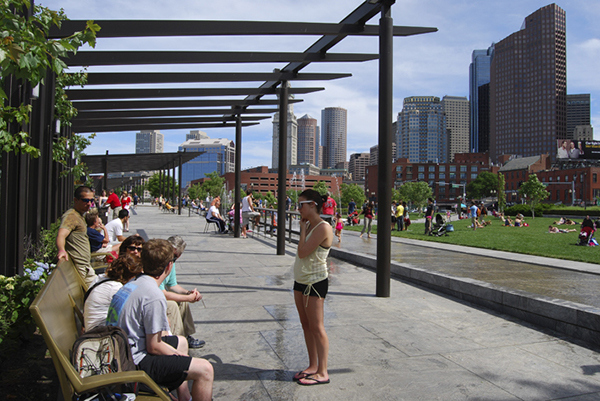 The North End Parks are built on three acres of new land on the I-93 "Big Dig" tunnel roof, at the prime entry to downtown Boston’s densest neighborhood. 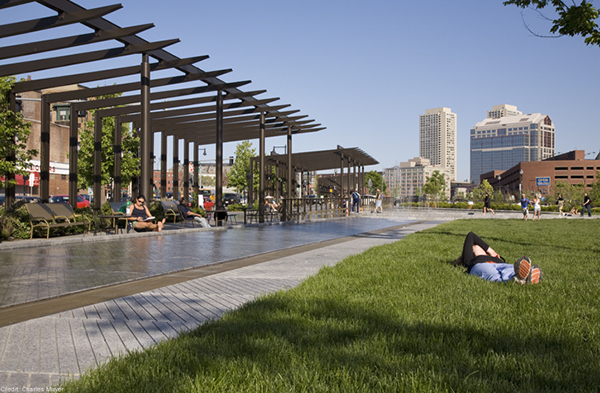 The design responds to community desire for a welcoming, urban meeting place that contrasts with expansive paving of nearby City Hall Plaza by offering a more intimate, textured space. 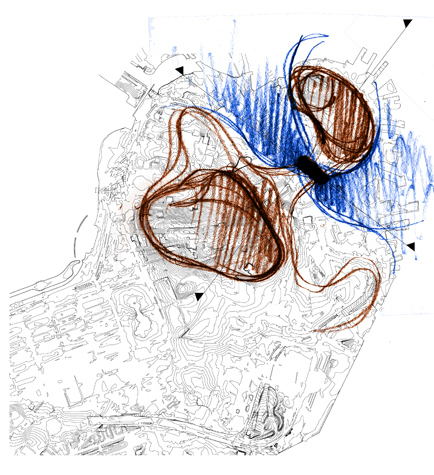 The Parks are designed as a system of varied spaces that serve the finely-scaled residential neighborhood, while forming together as one, a unified threshold piece at a grander civic scale. In the "Home Crossing" design, a series of zones are crossed as one moves from City (Government Center) to Home (North End). 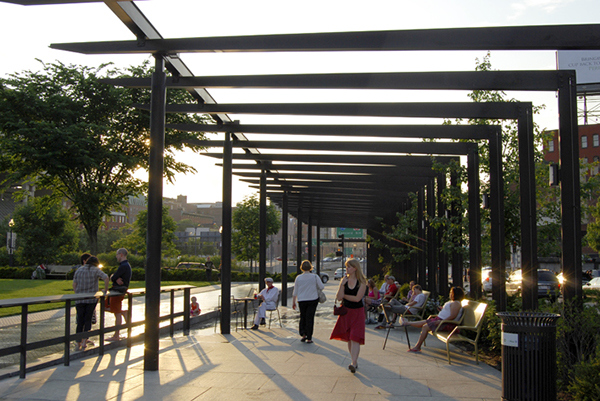 At the entry to Home, a “front porch” and pergola are provided as a spatial extension of the lively streets and sidewalk activities within the neighborhood.